Classically Kits on an excellent block! Heritage inspirations are high ceilings, leaded glass windows and period mill work. 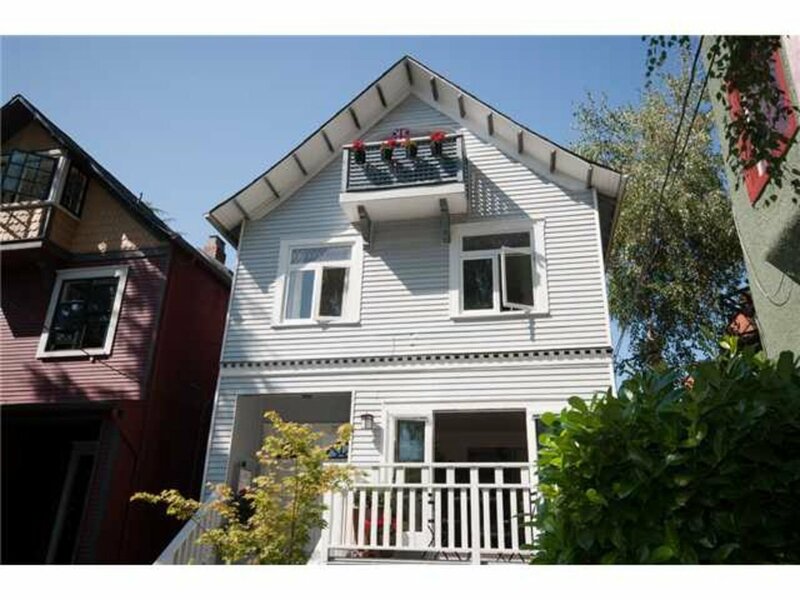 The house has been mechanically updated with the main floor one bedroom suite designed with loft like living. French doors lead to a deck off both the living room plus a deck off the renovated kitchen. The bedroom has a decorative fireplace and coffered ceilings. The Upper 3 bedroom two level suite has most of the original details and charm. There is a large one bedroom basement suite offering a private south patio. The tenants have on-site laundry while the owner has insuite laundry. There is a pretty front garden, great backyard, a single car garage and parking stall.